Each year, the team aims for a squad of 25 paddling members. 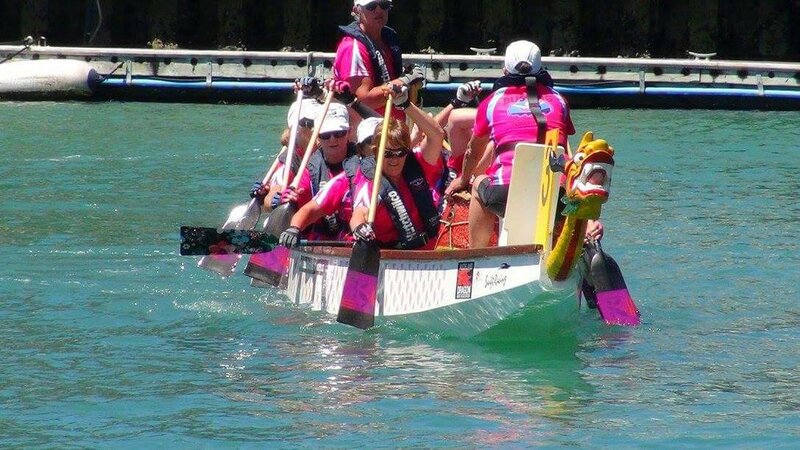 With a dragon boat normally carrying 22 including the drummer (caller) and sweep (steerer), a degree of rotation is required for training and regattas. The Coach and team captain will decide regatta participation based on performance, fitness and training attendance. The safety of all members is paramount at all times. Busting With Life in action! Virtually all team attire and equipment is provided by the team on a “loan” basis for as long as you are a paddling member. Two items will need to be purchased and other items are available. 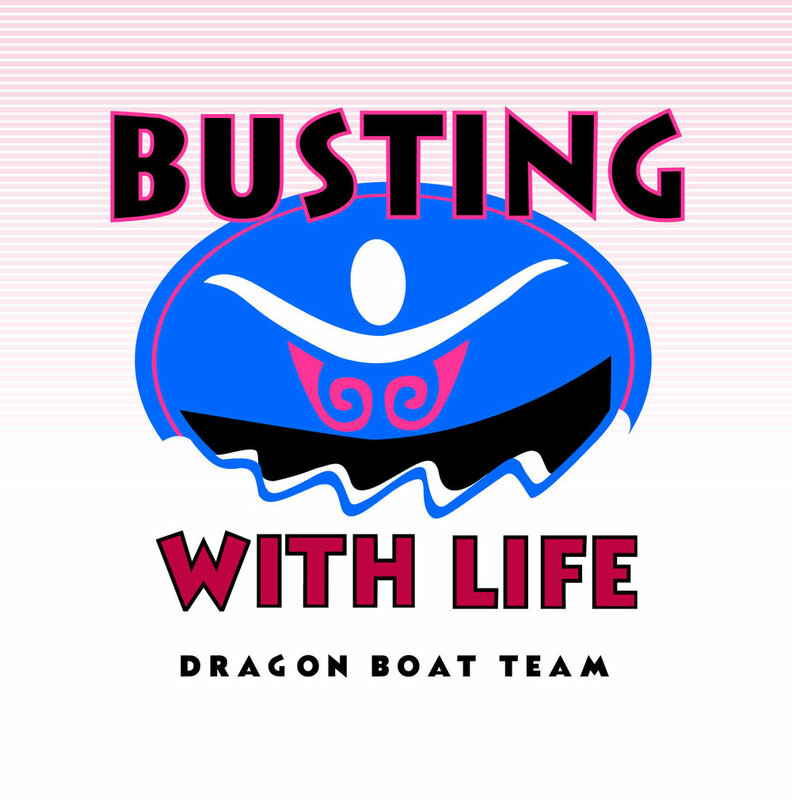 Initially under the wings of the Auckland Breast Cancer Support Service, Busting With Life was incorporated as a society in 2004. A 7 member leadership committee addresses all management, administration, team development, fund raising, and operational matters in accordance with the team’s charter. A qualified coach is appointed by the leadership committee to develop the paddling skills and racing strategy expertise of the team, and to direct an overall fitness program. The training program is fundamental to the success of the team and to paddler enjoyment, so the coach is a key player. He/she strives to achieve the team’s on-the-water goals while being keenly aware of the motivational requirements of 25 individuals. Appointed by the coach with the endorsement of the Leadership Committee, a team captain is appointed to provide on-the-water leadership and guidance. The captain also acts as spokesperson at regattas, and keeps the team organised at events. A key role, the captain plays an important coach – committee – team liaison role, and needs to be aware of all factors that might impact on-the-water performance. The only pre-requisite is a history of breast cancer. Age, athletic ability and previous paddling experience are not issues. An important position requiring dragon boat experience, good upper body strength and special training, the sweep keeps the boat going the right direction. The team aims to have 2 paddlers trained as sweeps. 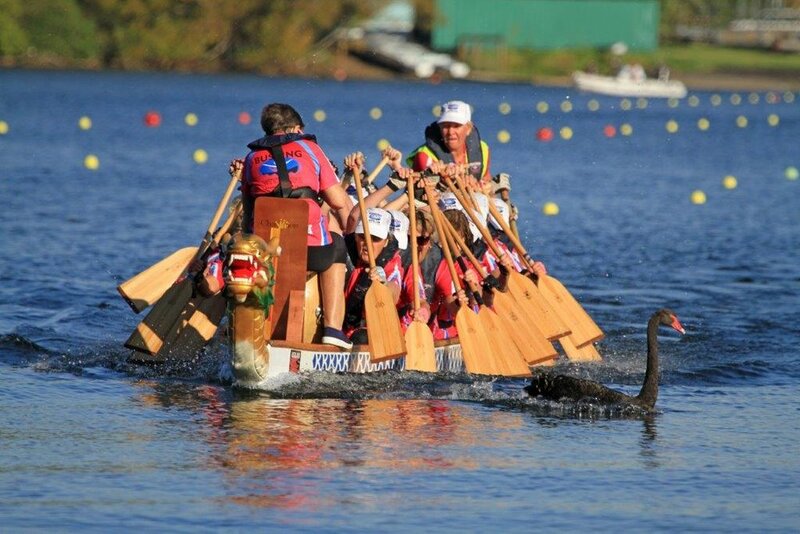 The dragon boat season generally starts in October and continues through to the end of March. For the next month, training is in the pool – weekly sessions focusing on aerobic fitness and water confidence. 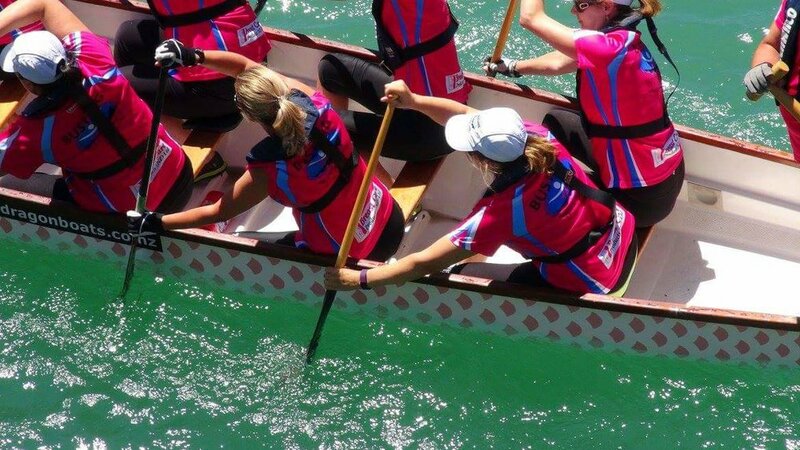 On-the-water training in the dragon boat starts in November, initially with weekly sessions held at Westhaven, and moving onto twice weekly sessions as the season progresses. There are generally four regattas held within New Zealand each year and international regattas are typically held every two years. The team strives to raise funds / obtain grants to allay travel and related costs, but when not possible, individual members cover their own costs.